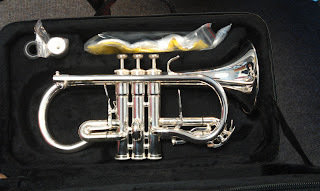 I recently had the chance to try out the Excel Soprano cornet in Eb. These look very similar to the Chinese instrument sold under the JP brand, but are marketed by Band Supplies, one of the main dealers in brass band instruments with shops in Leeds and Glasgow as well as a mail order business. The one I tried was in silver plate and retails for around £300. The Yamaha student model is £660 so this one is half the price. 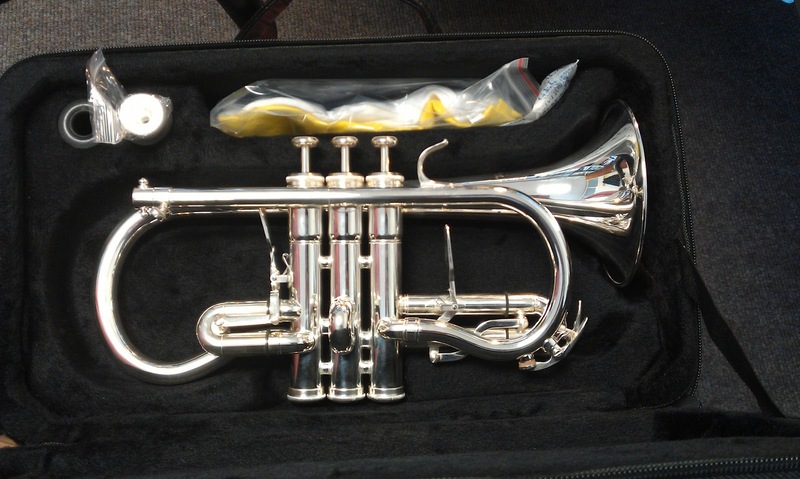 It looks like copy of the previous (pre Xeno) Yamaha Maestro soprano cornet model. The instrument feels heavy. Its not a lightweight bell, but the bell has the correct narrow throat of a modern soprano cornet meaning that smaller mutes will be needed than for Bb (Denis Wick and Wallace make suitable ones). The build quality is good. The silver plating looks good and the slides are nice and tight with good seals, but the screws that hold the trigger linkages together need some Loctite on the threads to strop them coming loose. I had exactly the same problem with my old Yamaha Maestro cornet so this is a design that the Chinese should not so slavishly copy. On such short slides I would have preferred rings rather than triggers. 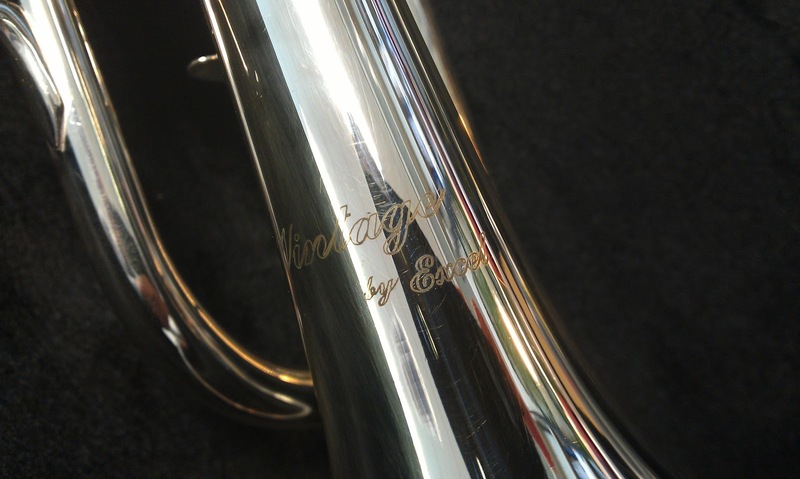 In common with a lot of small trumpets and cornets the second valve slide is not removable. The valves are stainless steel which harder than brass and therefore not considered as good as monel for wear, but they are very smooth. The valve springs are quite strong like Yamaha ones. I am used to Schilke, and Besson which are much softer and Bach which is somewhere in between. It may be possible to fit weaker springs if this was a problem. Like all new instruments there was a bit of heavier assembly lubricant in the valves and this took a while to work its way out through normal oiling and swabbing of the valves and valve casings. There is no fitting for a lyre. This means that if you want to march with it you will have to have one fitted or use a clamp on bell lyre like Schilke players do. Fitting a lyre box to the third valve tuning slide would be difficult because of the trigger mechanism. Putting one on the front bow of the leadpipe would interfere with the standing waves in the air column and is not considered to be a very good idea by instrument designers. This might be why it doesn't have one at all. The case is made from a denim looking material with back straps and a shoulder strap and space for two mouthpieces, but no mutes. Clearly aimed at the student market rather than the committed brass band player who has music and mutes to carry. 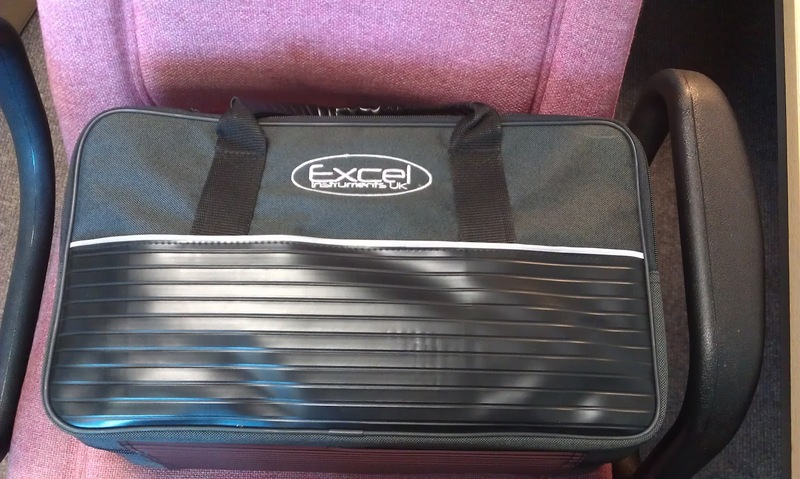 The case contains a cleaning cloth, the obligatory white gloves supplied with all Chinese made instruments and a mouthpiece that looks a bit like a Denis Wick 4B. I can report that the instrument is well in tune with itself and the sound is nice. 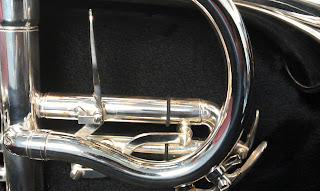 In common with all small trumpets and cornets I play on I am a bit low on the pitch so the tuning slide has to be all the way in to be at the correct pitch. I am going to have to select a mouthpiece that corrects this. I used a Wick 4B converted to screw rim with a Bach 1.5c rim on it for testing. Its not the right mouthpiece for this so I need to do some experimenting. The upper register is very open and it doesn't close up on me. The top C is well in tune, D less so but acceptable, E is very flat and would require alternative fingerings - not that soprano parts ever go that high. This cornet is sold as a student level instrument and it does this and more. I have not been able to directly compare it to other instruments, but I have played a lot of soprano cornets over the years and this is how I think the Excel compares to some other student and professional models. The Excel is not as responsive as the Schilke and does not have the same presence, but it does sound warmer. Its better than the either model of Besson Sovereign soprano, but thats not difficult as the Sovereigns were remarkably poor instruments. Its a bit better than the old 1980's long type Getzen I had because it speaks more easily. Its better than the old Imperial because it plays in tune with itself. Comparing it to student models its more free blowing than the later Besson student model soprano (although the Besson valves were superior) and better than the East European ones that schools used to buy in. Its about on par with the older Yamaha that it seems to be based on although the build quality is not as good. I give it 7.5 out of 10, but I am a harsh judge (I would only give the Schilke a 9 because of the pitch problems and I find the sound a bit harsh - there is no perfect soprano cornet yet). The excel is 12% of the price of a Schilke but its about 75% of the way there. Like all musical instruments its a law of diminishing returns when it comes to price. 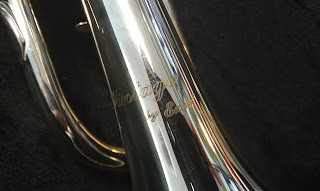 The Excel is, by far, the best student model soprano cornet I have ever played on and is ideal for schools, junior bands or for cornet players who want to dabble on soprano or have a cheaper instrument for marching with.